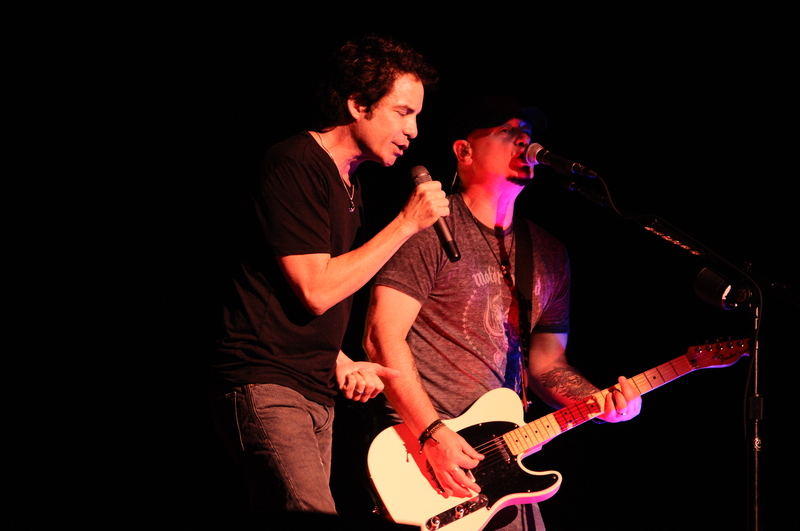 The Mermaids Of Alcatraz Tour featuring Train, Michael Franti & Spearhead and Gavin DeGraw splashed into The Darien Lake Performing Arts Center Saturday evening. You couldn’t have asked for a more perfect evening as the patrons were treated to some fantastic music on a gorgeous evening out at the Darien Center venue. The band is still touring in support of California 37, their most recent studio album released last year. 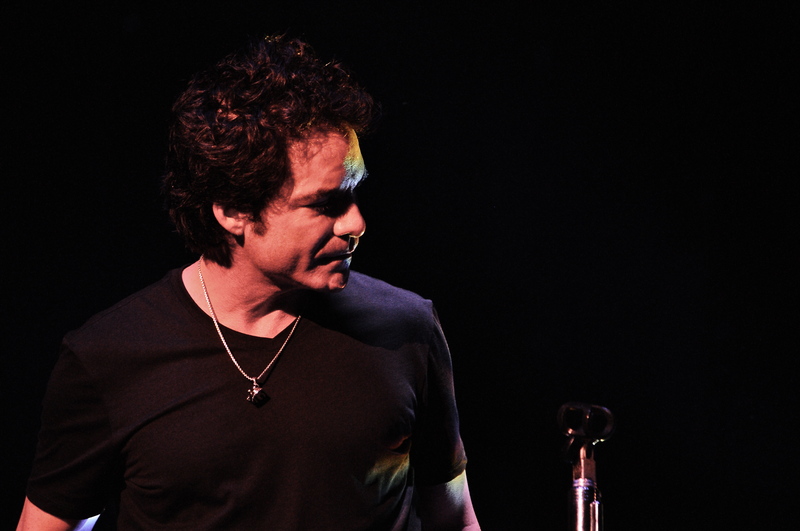 Singer Pat Monahan strolled out and broke into the band’s Grammy nominated smash “Calling All Angels”. The pace escalated immediately as the high energy “50 Ways To Say Goodbye” had everyone jumping following the slow tempo opener. Following up with “If It’s Love”, a song that was written for the fans which appears on the Save Me, San Francisco release. After an opening like that, one would expect a let down, but the set flowed along smoothly. Monahan recalled how he grew up in nearby Erie, Pennsylvania and remembered playing the venue for the first time with John Mayer. The nucleus of the band still includes original members, guitarist Jimmy Stafford and drummer Scott Underwood. Bassist Hector Maldonado and multi-instrumentalist Jerry Becker rounded out the touring band. For the performance of “Mermaid”, the band brought out and filled the stage with several young females dressed like the tour’s namesake. Country artist Ashley Monroe came out next to add vocals to the Train song “Bruises”. Monahan then joined her as he strapped on a guitar as they played one of her songs entitled “Weed Instead Of Roses”. The main set ended with a run through of the band’s 2009 hit “Hey, Soul Sister” before closing with their top ten hit “Drive By”. It was only fitting that the band ended their show with their first top five hit “Drops Of Jupiter”. You couldn’t go anywhere during the summer of 2001 without hearing this song. It is hard to believe that was over twelve years ago. Michael Franti and Spearhead put on one of the more memorable shows as a non-headliner in quite some time. It seems each time out seeing this band they keep getting better. 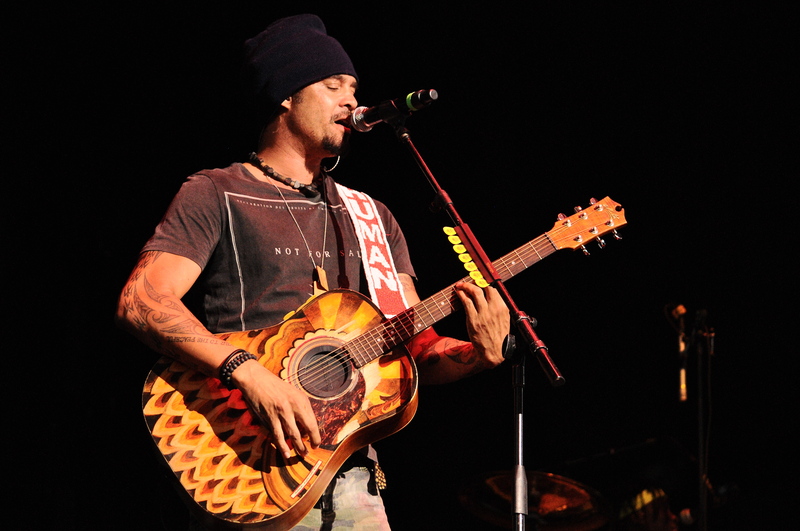 This was only one of four shows Franti and his band are doing for this tour as The Script will take over after that. A real treat for the Darien Lake faithful who seemed to have been won over by Franti and his band. Franti went out into the crowd several times in fact it seems he was out there just as much as he was on stage. He stayed out there playing guitar and singing amongst the crowd while his band remained on stage holding down the groove. His band featured bassist Carl Young, guitarist J Bowman, drummer Manas Itiene, keyboardist Raliegh Neal and background vocalist Gina Rene. 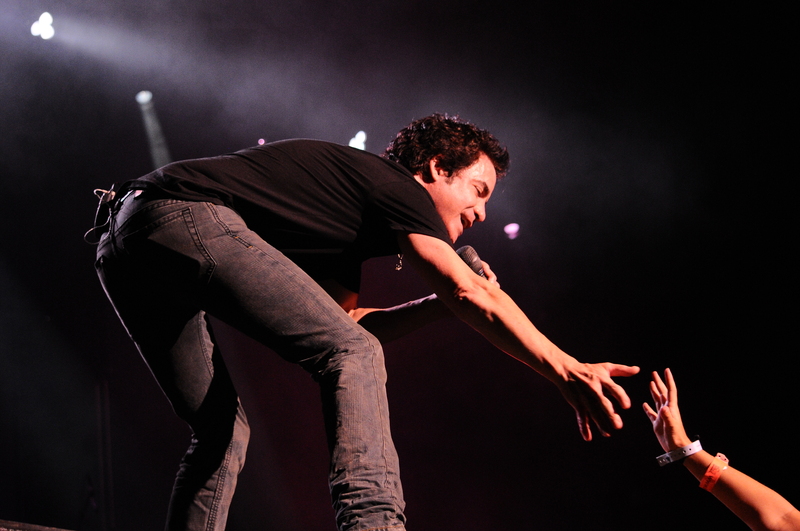 A wedding proposal also took place on stage prior to “Life Is Better Off With You”. It seems to be a ritual with Franti as after his show was finished he stayed out in front of the stage to shake hands and sign autographs with the fans. Truly something a little unique in this day and age. Franti will be releasing a highly recommended new album All People later this month. 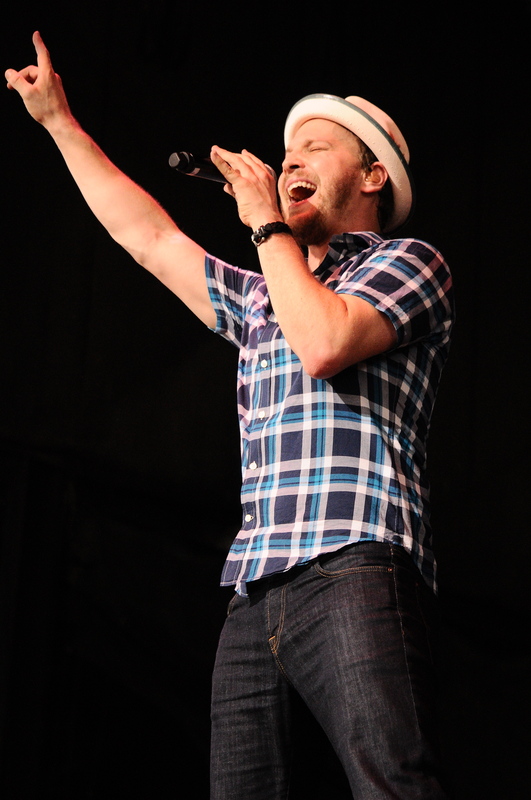 Opening the show with a brief forty minute set was New York City singer and songwriter Gavin DeGraw. Degraw has landed several singles on the charts including his most recent 2012’s “Sweeter” which he performed. The music, the crowd, the weather and the entire atmosphere at Darien Lake made for an enjoyable evening for everyone. A sharp contrast to the Brad Paisley concert the previous night where there were seventy-three people arrested for various allegations. Perhaps the police had the best night as there was not a single arrest made during this show.